Our office coordinates support services and health and wellness initiatives on campus including case management services and educational health events. In collaboration with the Intervention Team, we proactively assist students who are experiencing psychological, academic and/or medical challenges. For students in need of assistance, staff provide the initial assessment, and refer students to appropriate, ongoing support services both on and off campus. We coordinate the proactive and follow-up case management services for students referred to the Intervention Team for personal, emotional, and academic concerns. The Outreach Services staff, coordinated through the Dean of Students Office, is typically the first contact when gathering information about how to help a student or when trying to connect a student with resources on campus. If a student is struggling and you are unsure how to get them help, the Outreach Services staff can provide assistance. Outreach Services staff are not counselors. Case management, although supportive and personal, is not the same as psychotherapy; therefore confidentiality guidelines that apply to medical or professional counseling situations (HIPPA) are different for case management. Outreach Services operates within the confidentiality rules outlined in the Family Educational Rights and Privacy Act (FERPA). This means that without a FERPA release provided by the student, Outreach Services staff can not share educational records with a parent, or anyone outside of the College, unless there is concern for the health and safety of the student. Within the rules of FERPA, Outreach Services staff can share information with college officials on a need-to-know basis. When sharing information with other staff or faculty, Outreach Services will only share information that is vitally important and always works to respect a student’s privacy. For a broader explanation of the Family Educational Rights and Privacy Act please visit the Registrar’s page. Students: If you wish to give college officials permission to disclose your educational records to someone outside Eckerd, please complete the online FERPA release form. 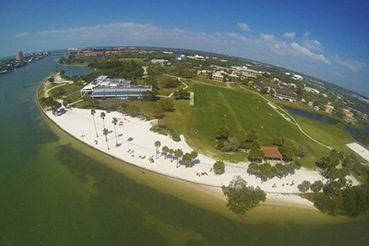 The Intervention Team at Eckerd College receives referrals, provides assessments, and makes recommendations for students experiencing personal, emotional, academic or medical concerns. The Intervention Team is made up of representatives from various departments on campus so that a well-rounded, holistic support system is in place for students. The Intervention Team serves as a centralized reporting source for any community member (faculty/staff, students, parents, etc) who is concerned about a student and would like assistance. The Director of Outreach Services serves as the chair of the Intervention Team and along with the Assistant Director, reaches out to students to offer assistance and connect them with on and off campus resources. The Intervention Team is a multidisciplinary committee which includes individuals in both Student Life and Academic Affairs. As a staff, faculty, friend or parent you are in a good position to identify who might need help as you see and talk to students on a regular basis and often in stressful situations. If you notice that a student is exhibiting one or more of the following academic, physical or emotional signs, or you just have a “gut-feeling” that something is wrong, make a referral to the Intervention Team. Excessive procrastination and very poorly prepared work, especially if this is inconsistent with previous efforts. Multiple absences or excessive tardiness. Decline in interest or enthusiasm. Inability to follow assignment instructions or tasks, despite repeated attempts to clarify/encourage. Repeated requests for special consideration (e.g. deadline extensions). 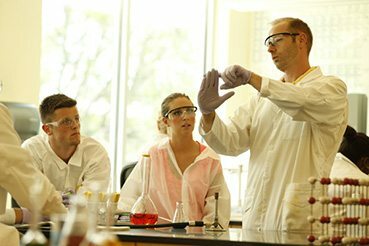 Dependence on professor/tutor that is beyond what is usual for a student needing assistance in your class. Emotions (sadness, nervousness, fearfulness, etc.) that are displayed to an extreme degree or for a prolonged period of time. Change in typical personality (e.g., more outgoing or more withdrawn than usual). Difficulty connecting with the community, making friends, etc. Difficulty dealing with a life event (e.g., death in family, relationship break-up). Expressions of hopelessness, isolation, or worthlessness; themes of suicide, self-harm or reference to death and dying. Direct mention of thoughts of self-harm, harm to others, or suicide. Mention of dealing with a mental health issue (depression, anxiety, BiPolar disorder, etc), substance abuse, eating disorder, etc. Strange or bizarre behavior that is obviously inappropriate to the situation (e.g., seeing or hearing things other people don’t). Chronic fatigue or falling asleep at inappropriate times. Marked change in personal hygiene or appearance. Noticeable or dramatic change in energy level. Impaired speech or confused disjointed thoughts. Frequently appears “hung-over” or attends class intoxicated. Noticeable signs of self-harm on student (cuts, burns, etc. that seem unusual). Once the Intervention Team receives a referral, the Outreach Services staff begins a response by gathering more information and reaching out to the student to offer support. How Outreach Services reaches out depends on the content of the referral and the assessed level of concern. The response can range from an email offering support or a phone call to the student to visiting the student in their room or finding them on campus to assess safety and immediate concerns. Additionally, the Intervention Team meets weekly to discuss all referrals. The team works together to assess the level of concern for the student, identify areas of need, and provide holistic support services. Due to the high volume of cases and the priority of contacting students, it is not always possible to provide updates back to the original referral source. If you would like updates or information on the student(s) you refer, please contact Outreach Services directly to inquire about the student. As fellow community members, you know your friends, roommates, students, etc, quite well. Often, you are in a position to offer considerable help to your friends and students since they already know and trust you. Here are some tips you can use when offering support to someone before (or in conjunction with) getting them professional help. Stop what you’re doing and focus on the person you are talking to. Acknowledge what you’ve heard and make sure you are understanding what the person is saying. Convey warmth and empathy with your tone of voice and body language. Avoid becoming defensive or judgmental. Remember, even if the problem does not sound serious to you or even if you may have heard of or experienced situations that seem much worse, each crisis is personal and significant for the person experiencing it. Ask questions about what the student has already tried or what they think might be helpful. Help them in determining their strengths and where they might need extra support. Ask questions to find out if this is an emergency or if the person is thinking of hurting themselves. If they are, call Campus Safety at 727-864-8260 or 911 right away. Brainstorm options and encourage the use of campus resources (RA, Peer Mentor, Outreach Services, Counseling Services,etc). Offer to walk with the student to the campus resource. Do not agree to remain secretive or confidential about the issue. Explain your limitations and that you are not a professional. Contact the appropriate staff on campus based on the issues discussed with the student. For example, if the student is struggling with a roommate issue, contact Residence Life. When in doubt, contact Outreach Services or Campus Safety for assistance or dial 911. When supporting a friend or student, it can often take a toll on you as the support person. It is important to maintain personal boundaries while communicating warmth and creating a supportive environment. You are not a mental health professional and should not place unreasonable expectations on yourself regarding how you can help. Recognize the limits of what you can do and ask for help. The Office of Health Promotion sponsors several annual events on a variety of topics including, alcohol and drug use, stress management, body image/eating disorder awareness and overall wellness. In addition to the annual events listed below, Health Promotion collaborates with many offices on campus for specialized topics and programs and is also available to lead residence hall and classroom presentations. This program is required for all students during Autumn Term and transfer students in Fall and Winter Term. During this program, current students offer education on adjusting to college, staying healthy while in college, making responsible choices about alcohol and other drugs, and knowing how and when to get help for a friend. Students also become familiar with resources and services that are available as support on campus. This program is also required for all students during Autumn Term and transfer students in Fall and Winter Term. Think About It focuses on the areas of healthy relationships, sexual assault, dating violence, and stalking. Students learn how to be proactive bystanders and how to keep themselves safe while in college. Alcohol Awareness Week is a week-long series of events on campus focused on encouraging students to be more aware of the choices they make regarding alcohol. The events engage students in thoughtful dialogue and interactive activities that challenge their perspectives on alcohol, substance abuse, the role of bystanders, and even methods for dealing with crime related to alcohol and other drugs and substance abuse/addiction issues. The last of week of classes in both Fall and Spring semester can be a very stressful week for students. De-Stress week provides students with multiple opportunities to unwind and relax. Events also educate students on healthy ways they can de-stress and on effective studying/test-taking techniques. In collaboration with Walgreens, Eckerd offers a flu shot clinic to all students, faculty and staff. Flu prevention kits, tea, and other fun giveaways are also provided to students. 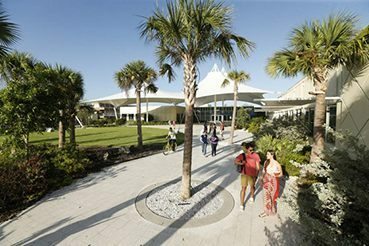 By partnering with Metro Wellness, Eckerd is able to offer rapid HIV testing on campus periodically throughout the semester. Additional STD testing is offered through St. Anthony’s Primary Care, located on campus in Edmunson Hall. The Wellness Fair is held every Spring Semester and offers dozens of health and wellness resources from both the community and campus to students. At this event students have the opportunity to try acupuncture, get a massage, sign up for “fun-runs”, receive a mental health screening and much more! Is your drug use a problem?